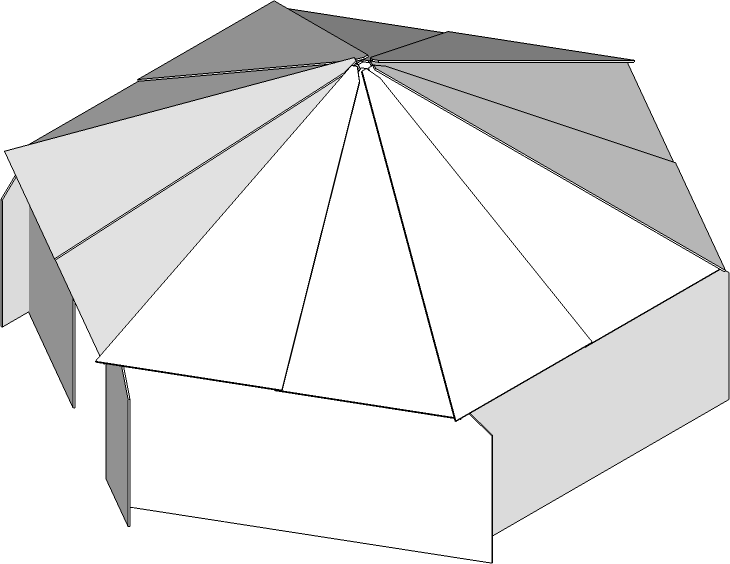 So you want to build a hexayurt? There is no shortage of information online. But which website do you go to? What do you find there? The information is all there but it is a bit messy. Numerous diagrams and building guides. Many videos. Some with the latest developments, some out of date. The mailing lists are full of questions and answers. All of this mess in only one piece of open source appropriate technology, in one material. Plywood hexayurts are a totally different from Polyiso ones. The people with the answers and the people making developments don’t all make clear instructions. Maybe it’s lack of time or graphic design know how. Now imagine this across all of the different Open Source Appropriate Technology products. My goal is that it take 10 minutes or less for someone to have the instructions they need to start building. No more questions, just the answers. And that these instructions are appropriate for their user. Websites are not enough. We need field manuals for disaster relief workers. Black and White printable instructions for developing countries. CAD models for developers. Videos and slideshows for trainers. All on free to use or opensource platforms. Wow, just viewed the Linkedin. We’d be grateful for any help you can give. That should work for me. Just ping me when things are ready for review. Happy to help!